Kelly Erin Sloan, the singer/songwriter who goes by the stage name of K. Sloan recalls that she never really envisioned herself as a lead vocalist. The Detroit native wondered whether fans would understand her music or message. Secondly, Sloan didn’t know how being a full-figured singer would impact her singing (or acting) career. Sloan notes that singers such as Jill Scott, Adele and Britany Howard have gone on to have major success despite not conforming to what a female pop singer should like. However, what if the industry has had it fill of full-figured women? K. Sloan notes that people constantly told her that losing weight would advance her theatrical career. Two factors rerouted K. Sloan’s from what she viewed as her destiny to work as an educator and on the stage. First, she decided to no longer be guided by her fears, and pursue a career in music, first as a backing vocalist and then as a lead singer. 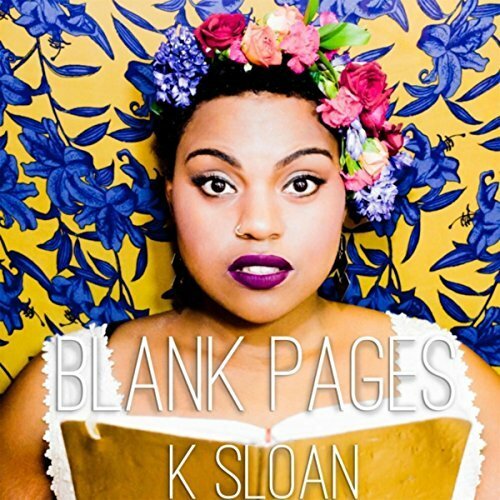 Then there is K. Sloan’s powerful and rangy breathe from the diaphragm and sing from the heart voice, along with the ‘sound of young America’ styled lyrics and instrumentation that she uses to good effect on her new EP, Blank Pages. K. Sloan is one in a growing number of artists going retro in 2017, and while many draw their inspiration from places such as Memphis or Muscle Shoals, Blank Pages finds K. Sloan absorbing the history of the music made in Detroit and other northern soul locations. “Stay,” the EP’s single and best record Latin tinged cha cha arrangement that seems inspired by Leiber and Stoller right down to the harmonized backing vocals. K Sloan’s musical theater training serves her well on this track as she adds an element to a song that finds her demanding that a guy stick with his promise to stay. “Take Me Back To Summertime,” sports up-tempo arrangement and backing vocals that recall both the call and response of Motown girl groups and the razor-sharp harmonies of do op in a song that finds K. Sloan those carefree days of summer romances. K Sloan showcases her songwriting chops on the ballad “This Is Love,” a tune that acknowledges that letting go and following the desires of the heart carries risks, but fear is rarely the best guide. When she sings, “Instead of waiting on every mistake/Why not open your heart to heartbreak,” she is speaking both to her professional leap of faith as to personal affairs of the heart. Embarking on a journey sometimes leads the traveler to a deeper place of self-understanding. K Sloan said that the course that ended with the release of Blank Pages taught her about her toughness and determination. K Sloan freed herself from the insecurities that threatened to shackler her, and that transformation has placed her in a better place personally and artistically. Recommended.